Offering fans a chance to get involved in the decision-making process in the weeks leading up to the big event, Cyber Sunday features a championship battle between Randy Orton and the fan's choice of either Shawn Michaels, Jeff Hardy or Mr. Kennedy. 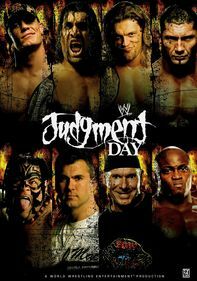 Loyal viewers also got to cast their votes online to decide whether John Morrison, the Miz or Big Daddy V should face C.M. Punk in the ECW championship match.